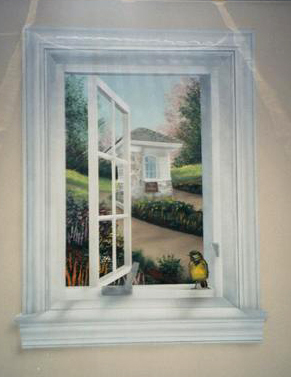 Examples of Trompe L'Oeil window murals painted to create an illusion that fools or tricks the eye. 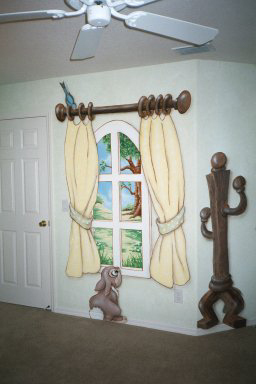 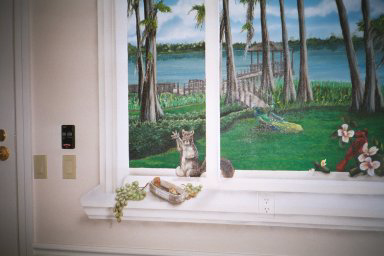 Art Effects' trompe l'oeil window murals are wall paintings that create an illusion that you are looking out a window. 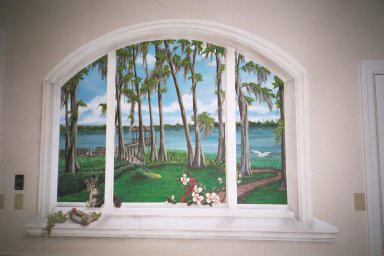 Down to the very last detail, we can duplicate your architecture moldings and trim, to make your new window mural even more realistic. 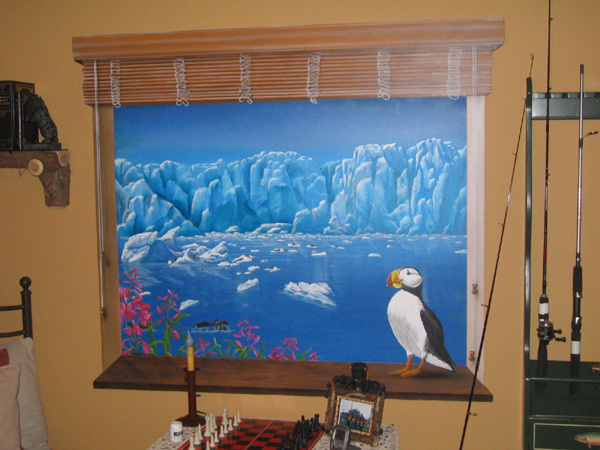 Whether you want a view of your favorite get-away or the actual scene that would be on the other side of the wall, Art Effects will take the time to work with you to create the vision you have for your new window. 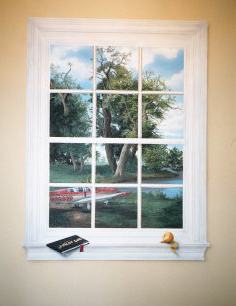 Of course not all your trompe l'oeil windows have to be on a serious matter.